The boys in my house have the same favorite pastime. E is going to kill me for posting this, especially because it shows he really does like the cat. That is soooo cute. 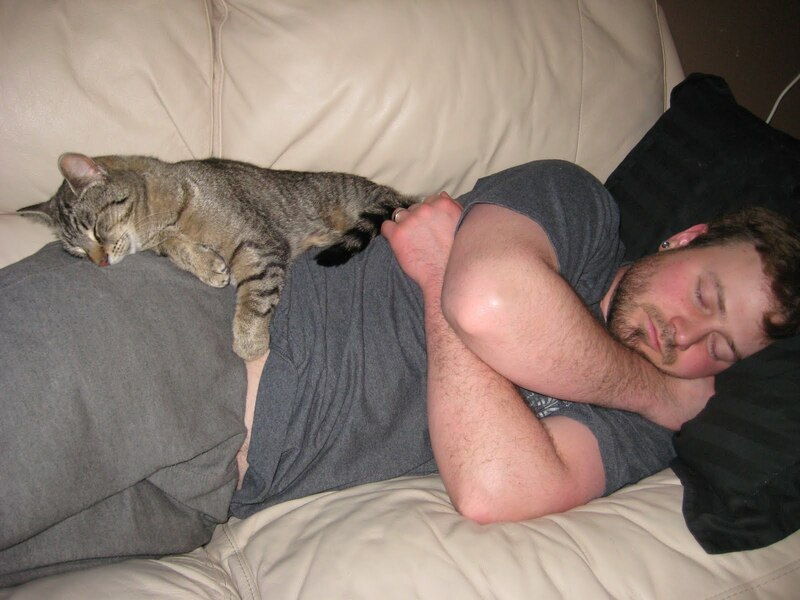 You gotta love a guy who loves cats, or a cat that loves his guy.